*A conservative blog posts 2 minutes, 38 seconds of video clips of a black federal agriculture official saying she didn’t do everything she could to help a white farmer. The blogger labels it racism. Calls grow for the Obama administration to remove her. No one at the Agriculture Department or the White House checks further. The official is forced to resign. 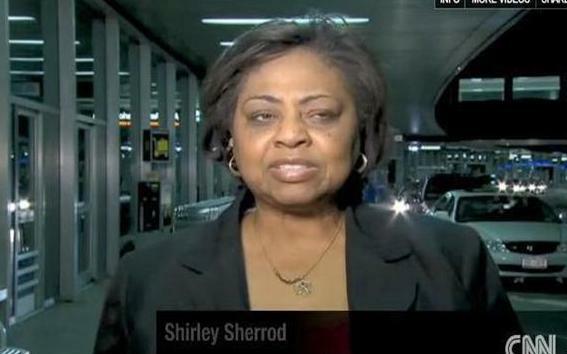 A complete, 43-minute version of the video surfaces the next day, Tuesday, and casts a much different light on Shirley Sherrod’s comments: They were part of an NAACP speech about how she overcame her racial prejudice to help the farmer, not about prejudice that stopped her from helping him. By Wednesday afternoon, Sherrod is sitting at a studio in CNN’s Atlanta headquarters, watching on live television as White House press secretary Robert Gibbs apologizes to her. A split screen shows her face and Gibbs’ in a surreal moment, concluding a whirlwind 48 hours in which conservative media had the Obama administration on the defensive. Fox News Channel has been riding high in the ratings since Barack Obama became the nation’s first black president a year and a half ago. Commentators Glenn Beck and Bill O’Reilly offer a favorite destination for many administration opponents. Breitbart’s story began: “Context is everything.” He said he offered “video evidence of racism coming from a federal appointee,” and followed with snippets of the speech. Read MORE of this AP report HERE. Not the first time that they have taken portions of remarks out of context and caused controversy. And with EVERYTHING being recorded now, it will happen more frequently. So when you hear sound bites, ask yourself if what was said before and after could have changed the meaning of what the speaker was saying.